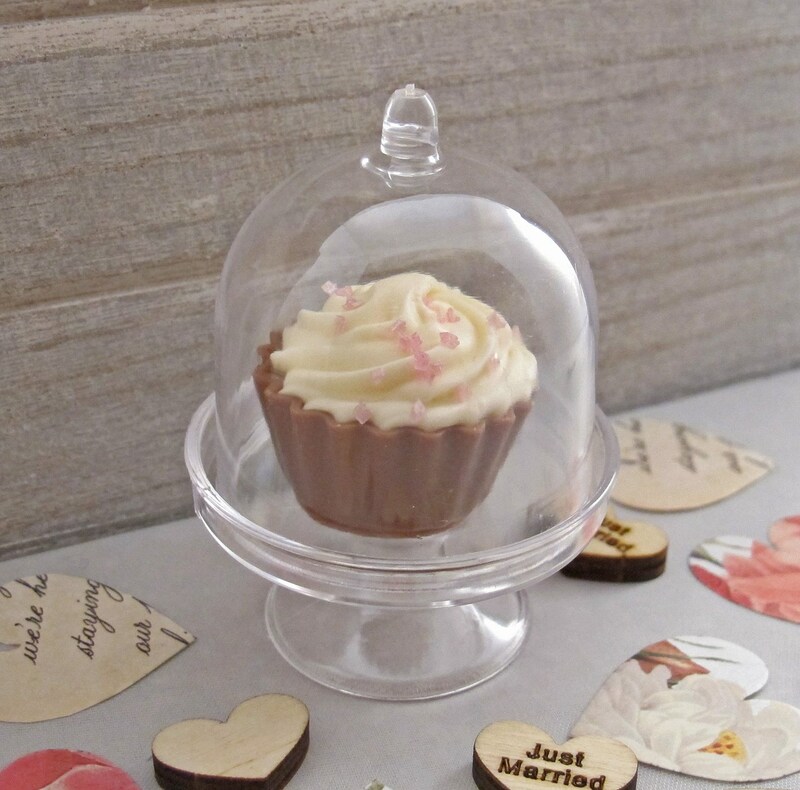 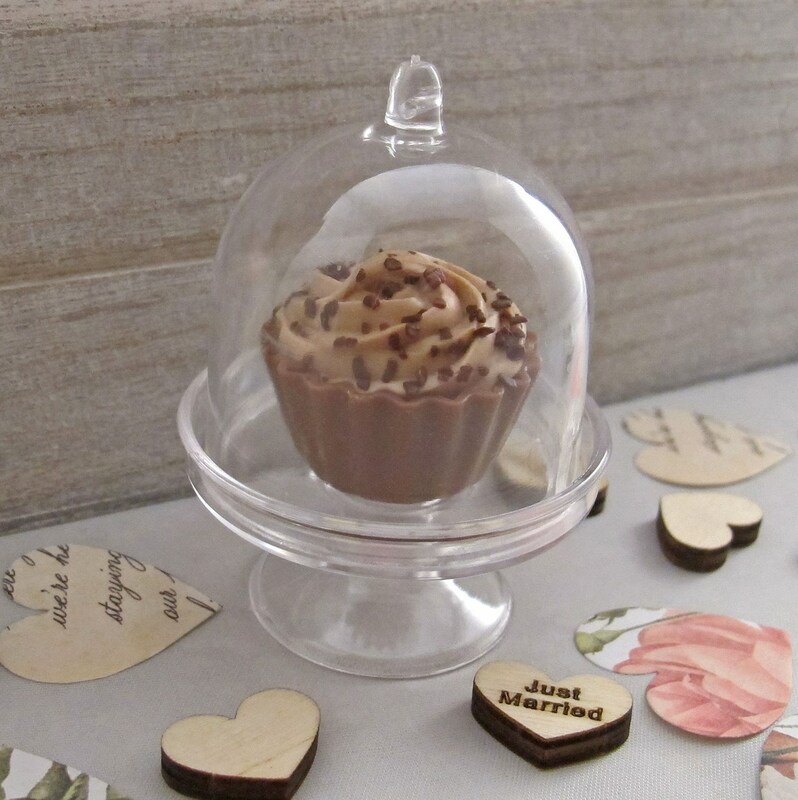 Our gorgeous mini cake domes with cupcake chocolate truffles are an exciting new addition to our beautiful range of ready-made favours. 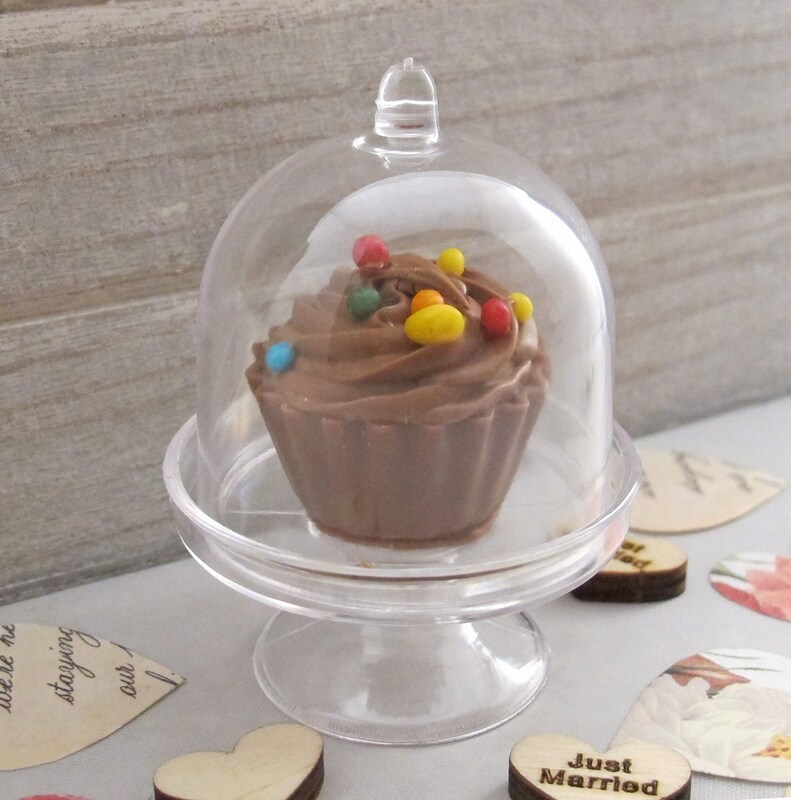 Not only do they look adorable, but they're also incredibly delicious! 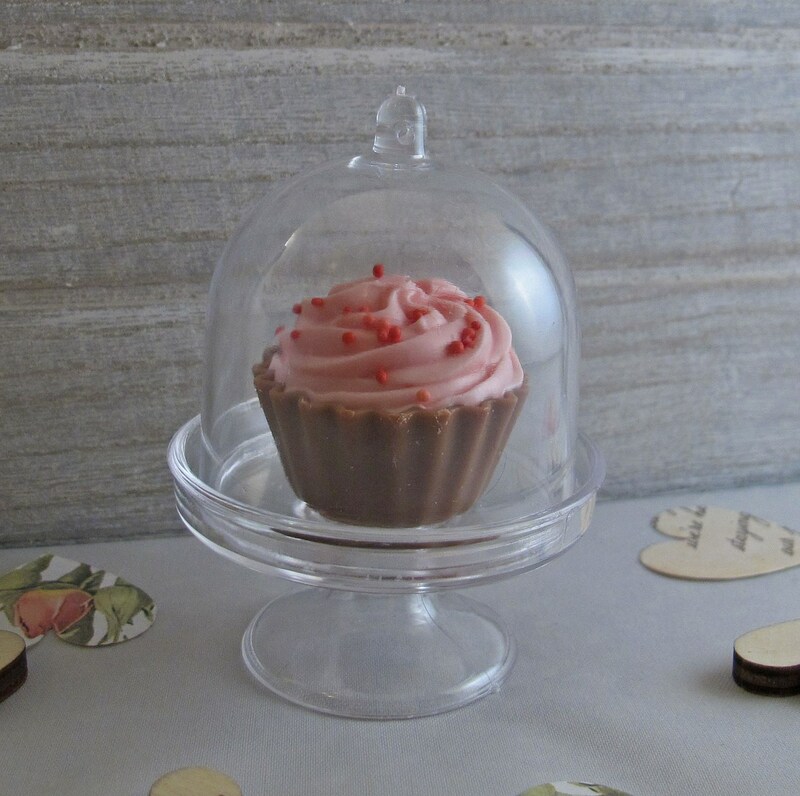 They will leave a lasting impression on your wedding tables and are perfect for vintage, shabby chic and afternoon tea party wedding themes. 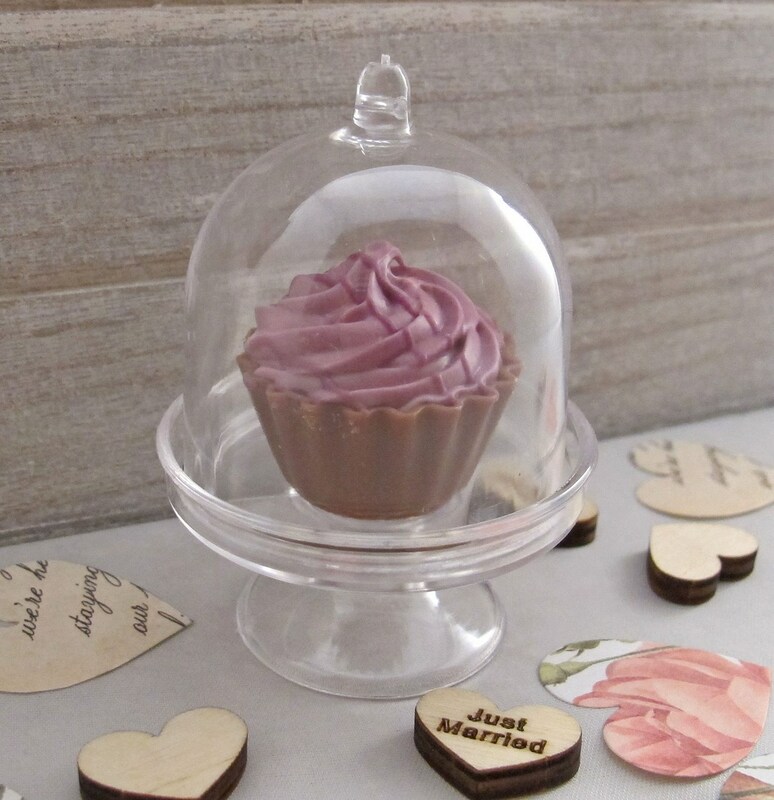 Please note, minimum order quantity is 10.